The securities market is a multi-trilliondollar arena which remains virtually untouched in the blockchain space. Imagine unlocking that vast potential through a consolidated, enabling and self-regulating platform? Launching an ICO that offers a security token can be extremely challenging due to the magnitude of technical, legal and regulatory requirements and procedures. Failure to abide by these regulations could result in costly penalties and could threaten to derail the whole project. Globally the issue around ICO government regulation is currently in a confused state of uncertainty with sometimes contrasting points of view. However, the general trend is towards recognition: recognition that security token ICOs have a place in the market and that progress will, therefore, need collaboration between government and industry. All signs point to 2018 being the year of government regulation, where the needs of investor protection and broader security token ICO participation are addressed. MOBU offers a decentralized organised ICO platform to facilitate the release of compliant security tokens on the blockchain. Real businesses wishing to raise capital by issuing security tokens will build their ICOs on the MOBU platform. MOBU creates an abstract smart contract from which all security token ICOs will be extended. 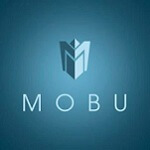 The MOBU abstract smart contract will contain the code that is required by the security token ICOs to conform to the MOBU ERC20 platform and the MOB20 standard to adapt to the ideas and requirements of MOBU. A regulatory friendly token is the only way to allow institutional money to enter the blockchain and a user-friendly platform for trusted ICO`s is the only way to allow nontech businessmen to participate in the blockchain. MOBU introduces a new innovative method of escrow services to ICO`s. Investors are able to exit the ICO after the crowdsale on a pro-rata basis if the ICO issuers do not adhere to their roadmap or goals. A “lockup” utility to MOBU tokens for service providers will be introduced to access services, rather than spend the tokens. This creates scarcity of supply in the market and increases the demand and intrinsic value of the MOBU token. These unique features ensure higher overall ROI for investors and creates a network of confidence and trust that will boost economic efficiency and incentivize community growth. As the cryptocurrency market evolves, the global adoption of ICO fundraising structures has led to an explosion of new capital formation that has outpaced both the seed and venture capital investment markets. The 86 ICOs that were launched during the first term of 2018 were able to raise a mammoth amount of US $3,4 billion in total. The total costs of launching successful ICOs are a lot more cost effective in raising funds than IPOs. However, approximately 98% of these ICOs launched utility tokens. The securities market is a multi-trillion-dollar arena which remains virtually untouched in the blockchain space. We know that a security token start-up can be a legal, technical and regulatory nightmare. MOBU is a decentralised organised ICO platform that facilitates the release of validated security tokens. There are several legal restraints when a security token is considered. When funds are being raised for a security token a KYC/AML process, a SEC 506 C reg D approval and an FSB CIS CAT 2 licensing in South Africa are required. Every country has different requirements in legislation in terms of this. By partnering with MOBU, cryptocurrency developers will be able to navigate the process with ease. Imagine unlocking that vast potential through a consolidated, enabling and self-regulating platform? MOBU offers KYC, AML and SEC approval, innovative escrow services to ICOs, bank support to investors when fiat is converted to crypto and smart contract development, and facilitates all other processes needed to raise funds. MOBU’s user-friendly platform offers non-tech companies the opportunity to expand their horizons to launch security tokens with negligible fees, instant settlement times and round-the-clock trading. As an organised ICO platform MOBU solves the problems of cryptocurrency developers who are hesitant and unsure about all the procedures required when offering security tokens to the cryptocurrency community. Various companies in industries such as mining, property development and retail will now get the opportunity to legally raise funds via MOBU. When a security token is created and issued through MOBU, the token is programmed to verify who can buy and sell the token. The security token restricts token holders from trading to any address that has not passed the required verifications. With this baked-in restriction, decentralized and anonymously run exchanges will only be able to conduct trades to authorized participants. The restrictions provide issuers assurance that their tokens will only be held by authorized investors. This fundamentally changes the securities market. MOBU creates a network of confidence and trust that will boost economic and operational efficiency. It ushers securities onto a new decentralized secondary market with negligible fees, instant settlement times, and around the clock trading. MOBU is instrumental to this new wave of wealth creation. MOBU facilitates the release of compliant security tokens with ease and confidence for all businesses that are backed by real assets wishing to raise capital on the blockchain. 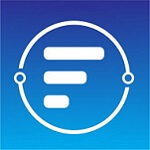 provides an ecosystem with a vetted tender process with strict criteria (rating system) for service providers in terms of track record, pricing, capital requirements, etc. introduces a “lockup” utility to MOBU tokens for service providers to access services, rather than spend the tokens. This creates scarcity of supply in the market and increases the demand and intrinsic value of the MOBU token. ETH, BTC, BCH, LTC, DASH and FIAT (USD) will be accepted for pre-sale. First Forex Percentage Allocation Money Management Account(PAMM) ICO on MOBU platform. MOBU will develop the first forex and crypto percentage allocation money management (PAMM) ICO on MOBUs platform and retain 20% of the authorised tokens to ensure that MOBU increases in value and that more resources are put into place to develop MOBU to its full potential. Blockchain was developed to prove data is real and this will be the first forex ICO that we are aware of. Blockchain Forex Managers will not be able to be dishonest about performance figures, management fees and assets under management anymore. This will ensure lower administration fees for investors. I am part of the management team of MOBU and would very much like to update the information of the MOBU ICO as it is not complete and in some cases not accurate. How do I go about to do this?